Experience an authentic slice of Alaskan life on a saltwater bottom-fishing expedition, followed by an extraordinary meal in a wilderness setting. 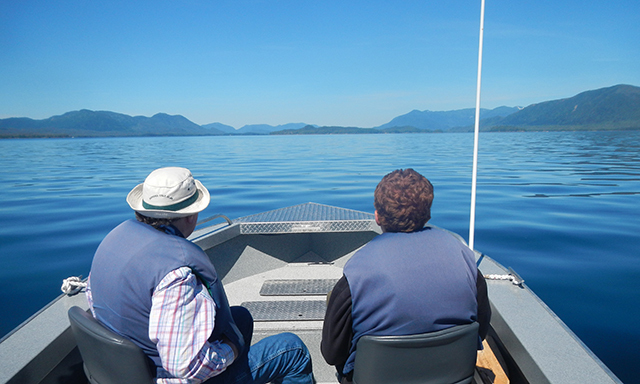 Get outfitted from head to toe before boarding a stable skiff that beelines to Ketchikan’s fabled fishing grounds. Reel in rockfish, lingcod, or halibut, which ultimately doubles as your very own catch of the day. After fishing, rendezvous at a remote beach to savor an Alaskan meal served around a roaring campfire. • Saltwater Fishing: Fish like a pro with full gear and tackle at world-class fishing spots. • Savor Your Own Catch: Delight to the flavor of your day's catch, prepared in a saffron-infused bouillabaisse. • Remote Beach Setting: Explore the shoreline, hike into the rainforest, or simply relax by the fire at the camp. • Guests must be able to get on and off the skiff. • All-weather gear is provided; a rod and reel is provided for each guest. • Dinner also includes side dishes and dessert, along with coffee or hot chocolate. • Each Angler 16 or older should bring $25 cash for fishing license. • Guests must be at least 5 years old, and not weigh more than 300 lbs.